Here a short example of how to bounce (reverse direction) a player of the sides of the screen. There is also control with the cursor keys. There is also a movement speed variable. I combined the last dungeon generator with the shitting hamster code for the monster ai. The monsters will get to every last corner of the map and will thus eventually find you. Shows ai and map generation. I wanted to try and create a map generator for games like rpg's and such. I created code here that randomly finds a spot for a new room on the map and puts it there if it its next to another room with enough space to walk through. 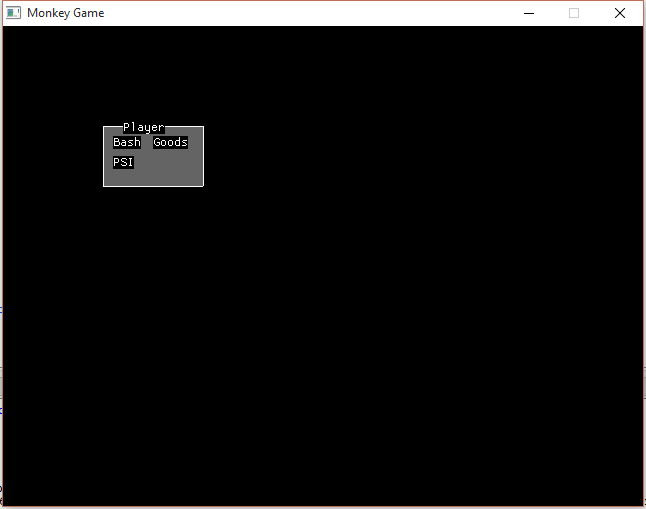 Here a example for beginning programmers of the RPG genre. Use the cursor keys to move inside the selector.